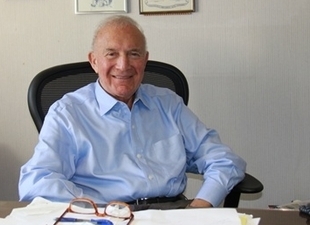 The Hamilton Co, New England’s largest private multifamily investor, acquired about 200 Boston units last year, says CEO Harold Brown, looking good at 87 years. The company, which has a $1.4B portfolio of mostly multifamily assets, is also building two new apartment buildings downtown and planning several large projects. By March 1, construction will be completed on a gut rehab of historic 8 Winter St. in Downtown Crossing. Of the six major new developments under way in and around the neighborhood, only 8 Winter St will offer all moderately priced apartments with rents about 40% below comparable new units. Already, the building is nearly half leased. Hear more from Harold at Bisnow’s Boston Multifamily Summit, Jan. 16 at the Westin Boston Waterfront.